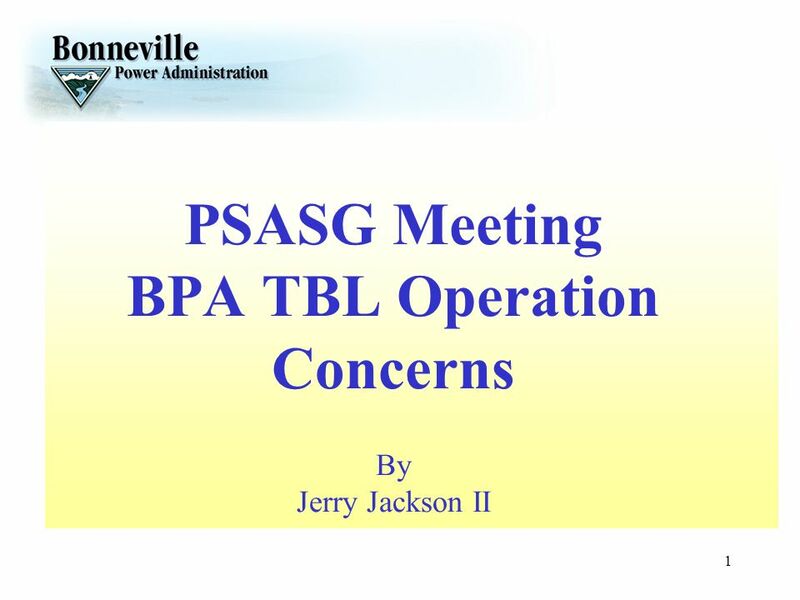 Download ppt "PSASG Meeting BPA TBL Operation Concerns By Jerry Jackson II"
Building a Combined 25F Nomogram Step 0: Define Terms Safe operating area: System remains within limits following the next worst contingency, regardless. 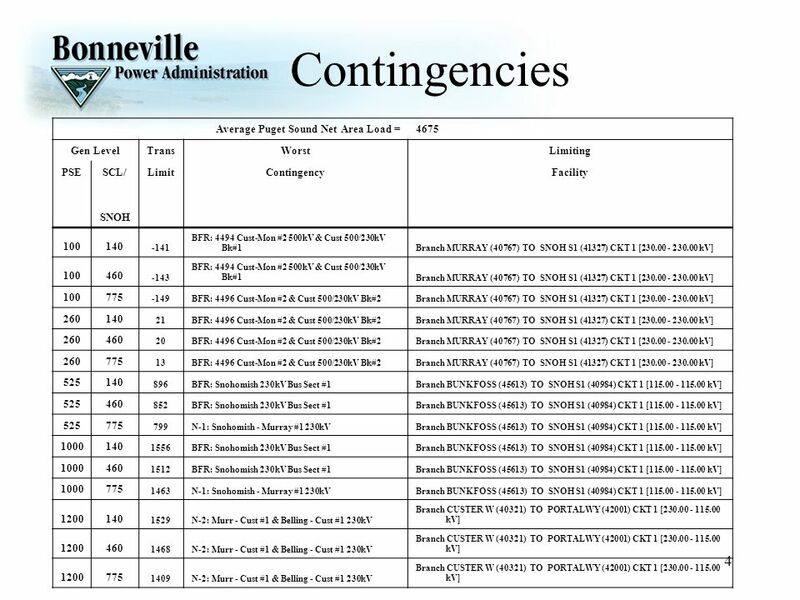 September 24, 2007 – Page 1 ColumbiaGrid Puget Sound Area Study Team Outage Scheduling Challenges Summer 2007 and Beyond Seattle City Light. 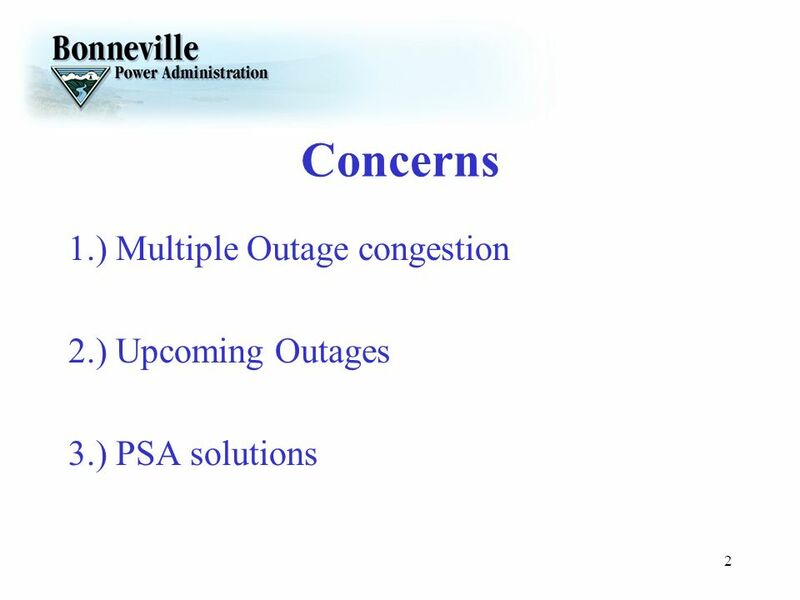 July 11, 2013 Reliability and Resilience – Role of Smart Grid Technologies and Practices Joe Paladino A National Town Meeting on Demand Response and Smart. 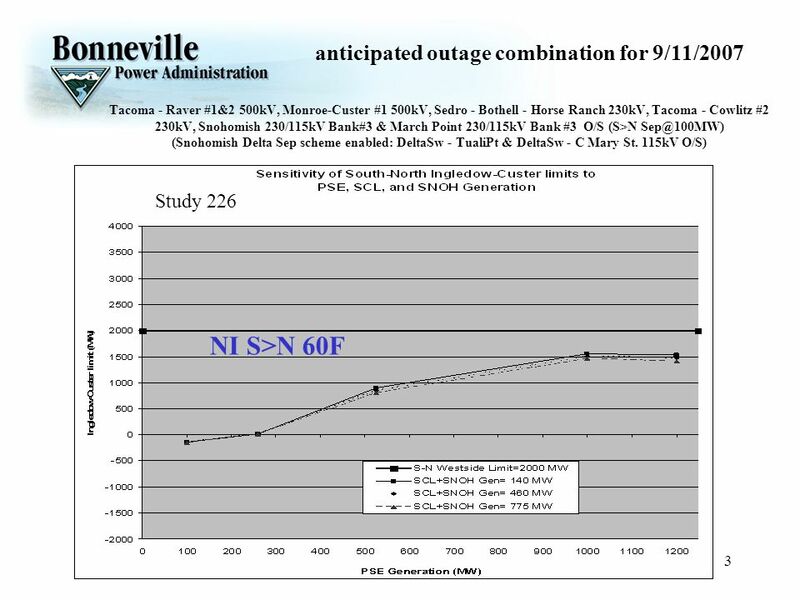 Puget Sound Area Northern Intertie (PSANI) Transmission History ColumbiaGrid September 24, 2007 September 24, 2007 Snohomish County Public Utility District. 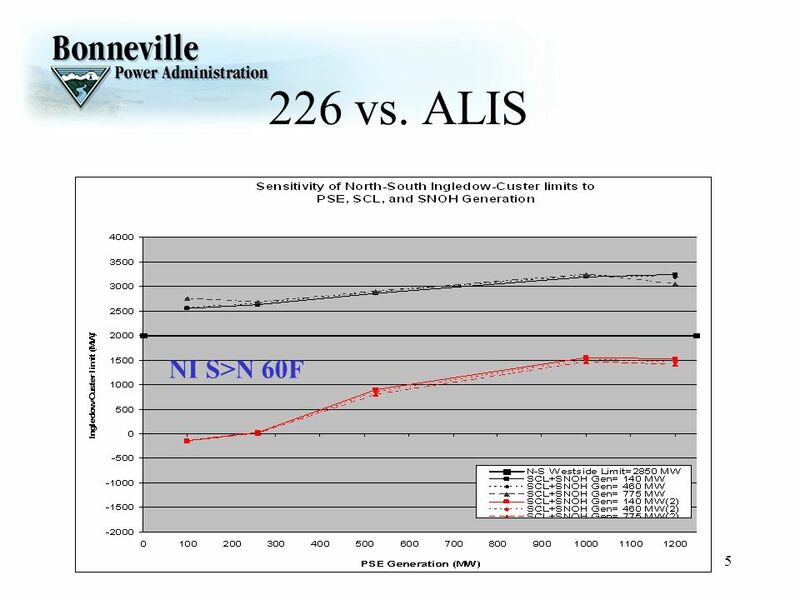 Project Update Late 2005 the PSANI Policy Group reviewed mitigation efforts to reduce transmission curtailments in the Puget Sound Region Late 2005 the. ©2005 PJM 1 Redispatch Credit NERC/NAESB TLR Task Force Feb 2-3, 2005 Houston, Texas Operations Reliability Subcommittee Feb 8-9, 2005 Scottsdale, AZ. Survival Estimates for the Passage of Juvenile Salmonids Through Dams and Reservoirs of the Lower Snake and Columbia Rivers (Project ) CBFWA March. Modeling Tres-Amigas Modeling Work Group Meeting August 27, 2009 WECC Staff. Modeling Tres-Amigas Update Modeling Work Group Meeting February 10, 2011 WECC Staff. BPAs Generator Model Validation Technique/Tool MVWG Denver, CO May 18-19, 2009 Steve Yang Bonneville Power Administration. Composite Load Model Implementation Update Craig Quist, PacifiCorp January 23-25, 2013 TSS Meeting. 1 ColumbiaGrid Update June 27, Activities Planning OASIS Redispatch 2. 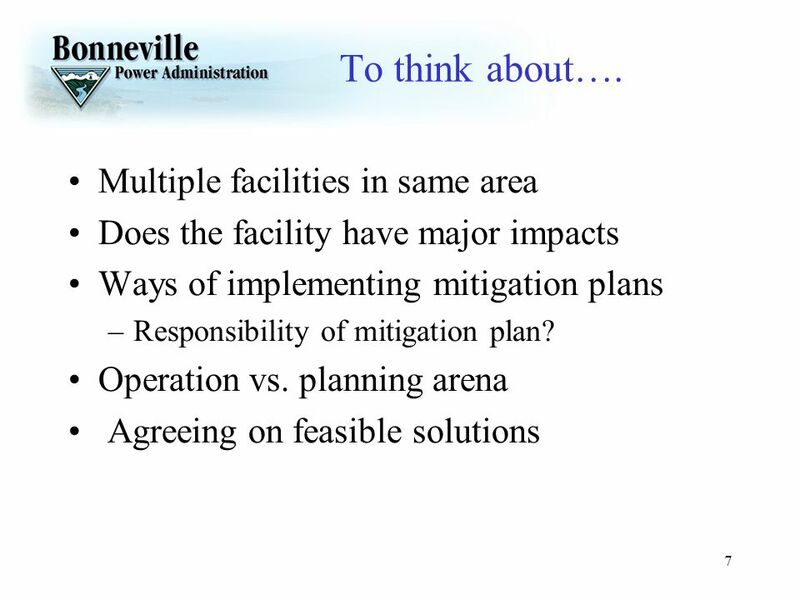 1 ColumbiaGrid Activities Supporting Integration of Renewable Generation Presentation to the Market Interface Committee At the October 30, 2008 Meeting. 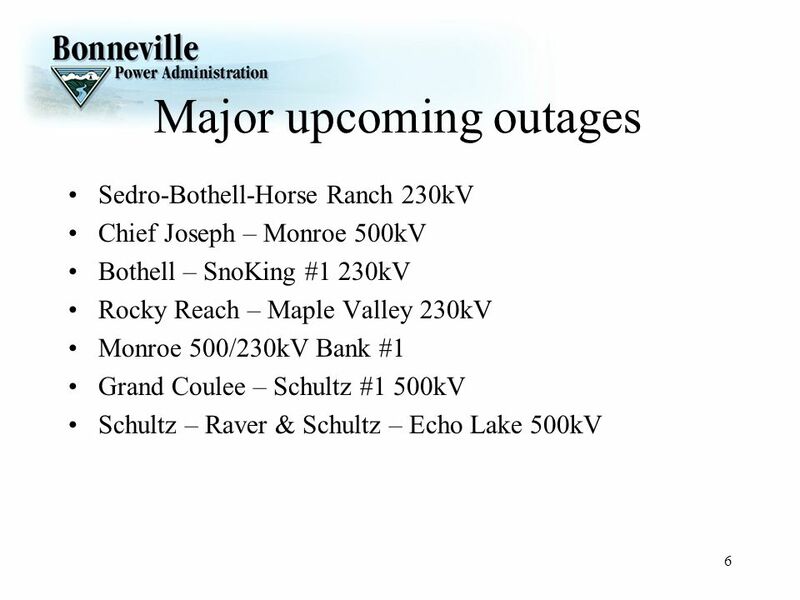 1 WECC PCC Meeting March 7, Members Avista Bonneville Power Administration Chelan County PUD Cowlitz County PUD Grant County PUD Puget Sound Energy. 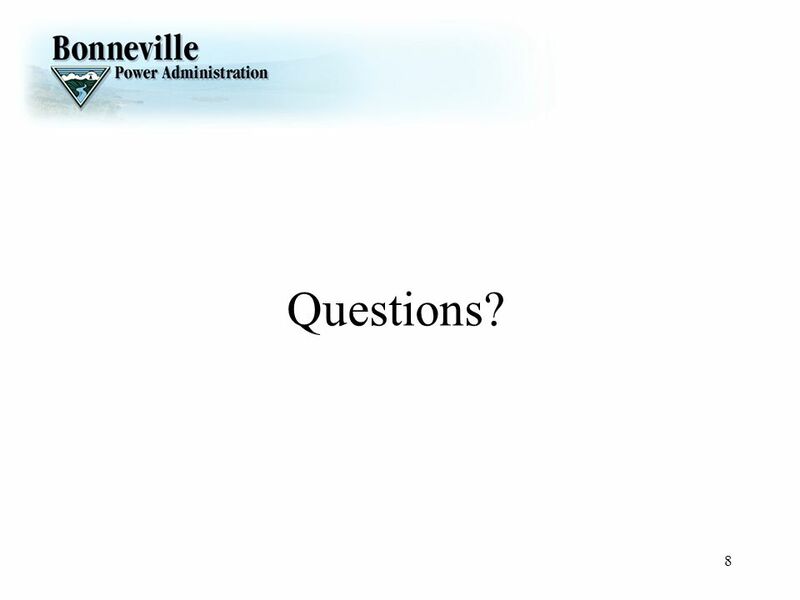 Order 2004 Sensitive 1 WECC Phase 1 Rating Process Coordinated Planning and Technical Studies: PCC Presentation on the Avista Interconnection to the PG&E.